Chicken Egg Match. Games online. Try this puzzle game to test your skills. 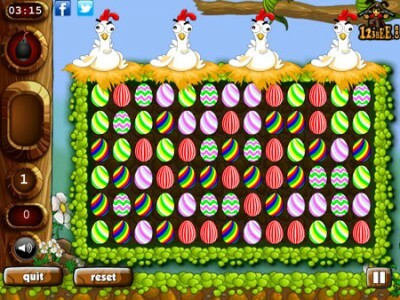 Change the places of the eggs so that you can match tri or more of the same kind vertically or horizontally. Use the bomb to remove a cluster of eggs. Have fun!